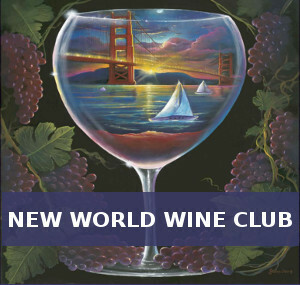 December is the season of holiday parties, entertaining, and celebrations with friends, family and loved ones. And of course, it is not a holiday celebration without delicious food and festive cocktails! These are sure to get you in the spirit for the jolly season. Steam milk, apple butter and spices together until hot. Double-strain into cup over butter. 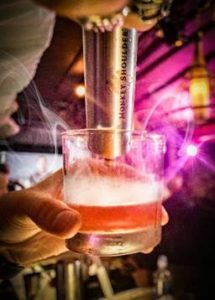 Stir in Drambuie. Top with additional milk foam. 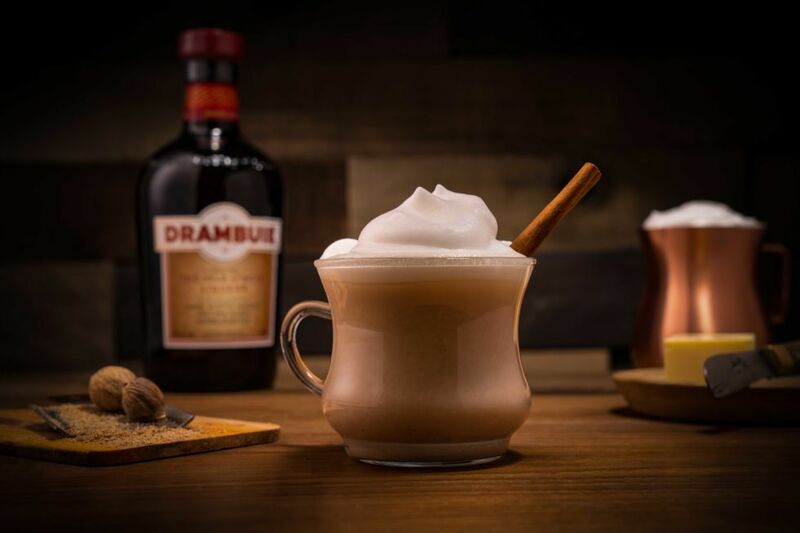 Drambuie is made from a delightful combination of scotch whisky, heather honey, herbs and spices. Add mint, lime wedges and simple syrup into a shaker tin. Lightly smash the ingredients together. Add FDC, Ancho Reyes, lime juice and ice and shake. Strain all contents into a double rocks glass. Garnish with a mint sprig and lime wheel. Combine all ingredients in a mixing glass and stir well. 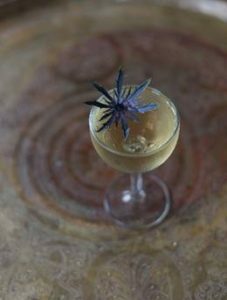 Strain into a nick & nora or martini glass, garnish with a dried flower. Add all ingredients to mixing glass. Add cold dry ice and stir. Once dilution is reached strain into glass. Top with Smoke and garnish with peach smoke. 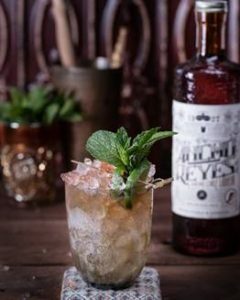 Monkey Shoulder, the mischievous malt whisky, is made for mixing in great cocktails like Show Me The Monkey. Build over ice in a Collins glass (or tumbler/rocks glass if you prefer): apple cider, then whiskey, and fill up with ginger beer. Finally, add a few dashes of aromatic bitters. Garnish with apple slice, and serve with a straw. 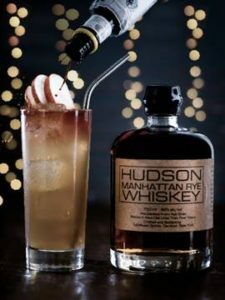 Hudson Whiskey, the first legal pot-stilled whiskey distilled in New York state since prohibition, sources 90% of its grains from within 40 miles of the distillery.